Here are a couple of rare items from the Twin Peaks Archives. Twin Peaks on the air. 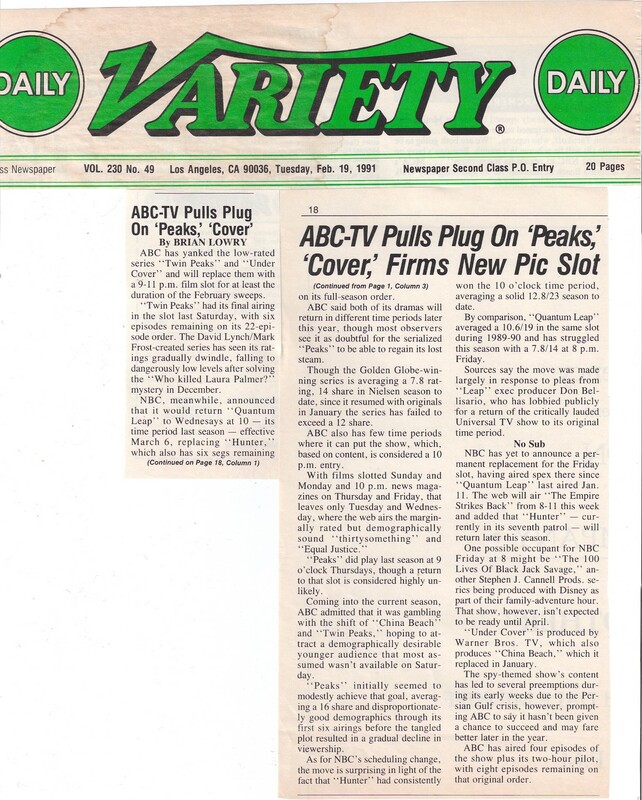 However, the official news came much sooner in the above February 19, 1991 Variety article. The above artifacts are remembrances of a welcomed world that many of us experienced first-run on TV whereupon mysteries unfolded that tingled unexplored places in our minds via cool hip music, excellent actors, quirky dialogue, the supernatural, otherworldly environments set among suburbia and great ancient forests, and of course, all courtesy of David Lynch and Mark Frost. 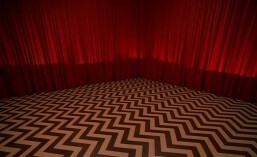 My heartfelt appreciation of the era of Twin Peaks and for its limited run, and even its ending – it was a great ride for TV. To have anything of quality for any amount of time is a gift.
. . . but that was then, and now our continued bond with Twin Peaks has manifested in the ride that is being built today – so hang tight until Twin Peaks 2016! Until then, May the Forest Be With You! 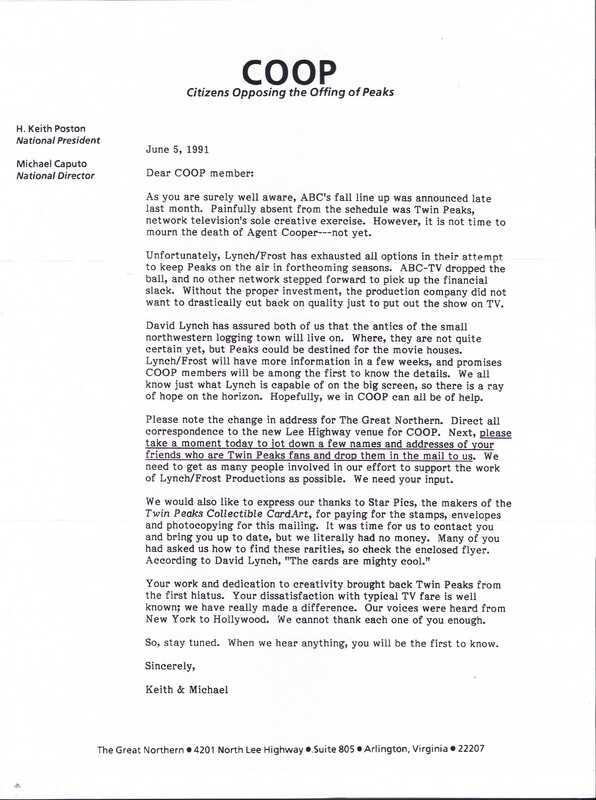 This entry was tagged ABC-TV Pulls Plug On 'Peaks', Citizens Opposing the Offing of Peaks: COOP, COOP, MAY THE FOREST BE WITH YOU!, the Real Twin Peaks, Twin Peaks Archives. Bookmark the permalink.